This book is the most personal work Devendra's ever created, weaving together awed autobiographical sketches which set the reader free in an imaginative wilderness—in turns surreal, pious, silly, and heartbreaking. Don't forget: when you buy a print copy of Weeping Gang Bliss Void Yab-Yum direct from us you get the e-book free! Behold: our other latest releases—available now direct from Featherproof, and from a bookseller near you. 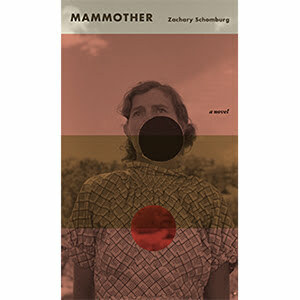 In Zachary Schomburg's first novel, the people of Pie Time are suffering from God’s Finger—a mysterious plague that leaves its victims dead with a big hole through their chests. 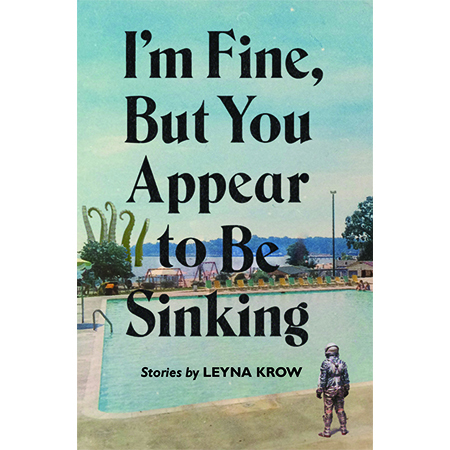 Leyna Krow's debut collection spans the ocean depths and the far reaches of space, connecting us all with its humor, awe, and fearlessness. Coming in at just under 160 pages, this cloth hardcover book contains over 70 pages of full-color paintings; 30 pages pulled from his sketchbooks; and essays and interviews with art and music luminaries Genesis P Orridge, Freddy Corbin, and Andrew Berardini—all discussing the esoteric origins and subject matter of Ryan’s incomparable body of work. Inborn Absolute is available now, along with a special Robert Ryan T-shirt only available direct from us! For those that prefer to take calculated chances with their purchasing power, we now offer bundles! If you know that you like what you like, choose from the Music Bundle v.2 or the Neu Novels. All bundles are three books for $25! A great gift that looks like you spent more than you did! And why not? What more appropriate emblem of the history of operations from which this country derives? It could be seen as ironic. But it is bitterly appropriate. Article 2 of the U.N. Convention on the Prevention and Punishment of the Crime of Genocide establishes a clear and detailed definition of genocide: the committal of any number of acts with the intention of destroying a particular group. Among such acts: "deliberately inflicting on the group conditions of life calculated to bring about it's physical destruction, in whole or in part." Are we to be so perfectly reminded of the ineffable tension between the ideological declarations this country makes or agrees to and what it enacts? The survival of Native American culture, the survival of any Native Americans at all has been entirely the result of resistance to those powers which have attempted their destruction. The U.S. Department of the Interior on Monday published a list of 15 "fun facts" about our new national mammal. A space is cleared of its inhabitants to make way for a memorial park or monument commemorating the absence of those now former inhabitants, dreams undreamt. The clearing is thought of as settling. The memorializing is thought of as humanity, perhaps, and nature as elsewhere. On Monday, May 9, 2016, President Barack Obama signed a law designating the bison or American buffalo as the United States' official national mammal. The buffalo once numbered between 30 and 60 million. Today, the number of such animals that have continuously occupied ranges native to their herds numbers approximately 4,000. Throughout the 19th century, the population of native buffalo was drastically reduced by U.S. military operations, often in concert with private citizens. Colonel Richard Dodge explained, in 1867 that "every buffalo dead is an Indian gone." There is no shortage of evidence in the historical record that the attempted eradication of the American buffalo was part and parcel of the attempted genocide against the Indigenous peoples of North America. Don't forget: tomorrow is #independentbookstoreday. Support these fine folks & buy something, would ya'? And @quimbysbookstore too! It is a kind of disturbed concern, at once endearing for its pitiful quality, but haunting for its communication of absolute hauntedness. It is difficult for me not to see this expression in the eyes of John Balance. In many of the photographs taken of this man over the years, certainly one can note an affect, a pose of the expression, deliberately strange and strangely confrontational. But beneath the expression, in the gaze itself, and also plainly present and laid bare in some of the more candid photos, I see the agitated gaze of Louis Wain’s cats. I spent a few minutes sitting in the red dust, in the hot shade of my van, drinking warm water from a jug before retreating entirely from that place. I left the carrion where it was, so that it could be made subject to the hunger of black vultures and turkey vultures and coyotes, although the sheet wrapped around it might have protected it from that particular fate. More likely, the sheet delayed such a fate. I continued on my sunstroked path south through Tohatchi and Ya-ta-hey, east through Church Rock and Thoreau. I never figured out why that body was there and the viscerally tumbling feelings of that particular encounter left me eventually of their own accord. Resonances of this disorientation visited me unexpectedly a few years later when, in August 2015, historian Roxanne Dunbar-Ortiz described the creepy place, as she said, that is the Voortrekker Monument in Pretoria, South Africa. In attempting to explain how she felt about approaching this structure, witnessing it, she talked around a feeling that I thought, even in her lack of distinctly articulating it, I could very clearly understand and relate to. She was telling me that day about visiting the Voortrekker Monument and how, following the release of Nelson Mandela after 27 years in prison, and the end of apartheid in South Africa, the African National Congress left intact many of the monuments and museums which glorified apartheid, but inverted their narratives in one way or another, displaying in certain cases more accurate accounts of the historical record. Inside the Voortrekker Monument, she explained, one finds representations of the colonizing of South Africa which look uncannily like those representations of the colonizing of the U.S. It may as well have been the same artists, she told me, as had painted many of the famous images of the settling of the American West, complete with calistoga wagons; only, of course, in this case there were no Lakota or Apache clashing with the voortrekkers. Instead there were the Zulu. But in talking about the sense that she had, not only from that uncanny analogue, but also from the structure itself, the feeling with which she was struck and indeed which had left her struck, Roxanne seemed less able to find the right words than when describing almost anything else that day. I remember, particularly, that she used the word “place” repeatedly, saying “that place” many times in one breath. She impressed on me that photographs do no justice to the immensity of the monument. I felt I could entirely imagine the unsettled awe that the place had inspired in her, and wondered if we had not actually had analogous experiences in approaching such massive, unlikely structures, whether intentional or incidental. Later that day, I met a friend for dinner and he asked me if I had heard that Mount McKinley had been renamed Denali. In the midst of this recent preoccupation with Kazuo Ohno and Francis Bacon, as points within a sort of constellation which I felt I was drawing for myself, one night I came home late and almost automatically pulled a slim volume from my shelf: 'Corps étrangers.' I hardly remember acquiring it in the first place. It details a 2006 multidisciplinary exhibition curated by Toni Morrison for the Louvre which featured, among other intriguing work, a dance performance by William Forsyth (via video by Peter Welz) that aims to "transcribe" Bacon's alleged final work, an unfinished self-portrait; and also a video of Kazuo Ohno's 'Portrait of Mr. O' which features his son, Yoshito.